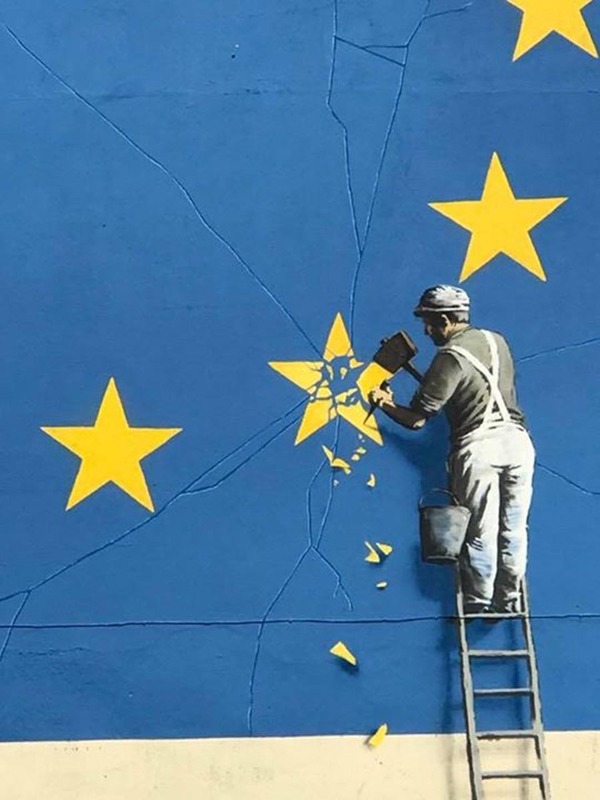 Without a doubt one of the most contentious, omnipresent and challenging issues that we face today is our exit of the European Union. It is understandably hugely influential for the British government, as they have to deal with a myriad of problems that did not exist less than 18 months ago. The British people are currently experiencing a paradigm shift in political discourse: what was standard policy for the best part of the last 40 years is now something politicians are now labelled a ‘traitor to democracy’ for supporting. I see myself amongst the many people who are infuriated at the atmosphere of uncertainty about where our country is headed, and astonished at how such a climate was created. During the referendum it seemed that a large bubble had been created outside of conventional politics, and so, when the time came to cast the vote, the majority of people were galvanised into plunging Britain into the abyss of uncertainty, supposedly to make it ‘better off’. However, instead of dismissing this group of people, I sought to understand why they did what they did. And, while scouring through pro-Brexit videos with clickbait titles and borderline racist comments sections on YouTube, I finally came across the one person who gave me a good enough answer - ironically, a radical “remain” supporter. Yanis Varoufakis is infamous in most of the European continent. The former Greek finance minister is seen as egotistical, duplicitous and disingenuous by a large part of the mainstream media. He portrays himself, in his books, as the most misrepresented person in Europe. Yet his side of the story still appears to be perhaps one of the most important narratives of the European Union: one of lies, of fearmongering, of failed policies and one with an utter contempt for all things democratic. To me, what he had to say was eye-opening. This summer, I decided to read Adults in the Room, his account of going toe-to-toe with the EU bureaucrats (and eventually, his own party) in 2015 when trying to negotiate Greece out of the hell hole that it was, and still is, stuck in. Reading his account thoroughly altered my own opinion on the monolith that our government must now negotiate its exit from, and provided the most convincing argument for exiting the EU. The book is split into three parts. The first part briefly discusses the nature of the 2010 Eurozone crisis that resulted from the 2008 financial crash and how Europe’s leading politicians attempted to deal with it. As Varoufakis says, they ended up creating new problems that featured the devastating and arbitrary austerity Greece is now under, enforced by the infamous troika. It then describes Mr. Varoufakis’ work in Greece bringing light to how terrible and ineffective the troika-enforced policies are. The books also discusses his reluctant decision to eventually accept the offer from Alexis Tsipras, the leader of the far-left political party Syriza, of the position of finance minister, with a potential mandate to negotiate debt restructuring with the EU, should they win an election. By early 2015, their election victory came through, leading into part two of the book. This is the key section which describes Varoufakis’ grand tour of Europe, negotiating a way out of Greece’s unpleasant situation with key Eurozone figures. He fights an uphill struggle for six months, constantly battling the bitter bureaucrats of the EU, who would rather see the finance minister destroyed then they would the debtor’s money back. Ultimately, however, it is the other members of his party who capitulate first. This is where part two ends; Varoufakis’ now extreme doubt in his party to continue negotiations turns into recognition of their failure in part three, where he is scapegoated for the shortcomings of the negotiations, forced to abandon his backup plan in the event of negotiations turning sour and, after Tsipras ignores a referendum result to reject the current bailout deal, decides to finally submit his resignation letter, ending the story. This book is an essential read for anyone looking to negotiate with the EU. Be it as it may that Britain’s negotiators with have far more leverage than Greece, I would wager that the tactics used will still be apparent. These included attempts to clutter up the process with as much bureaucracy as possible, repeatedly doubling back on previously confirmed plans with no warning, and constantly refusing to even allow the opponent space to negotiate because of ‘the rules’. These tactics, and more, were omnipresent in 2015, and should they be used against David Davis, our Brexit Bulldog, I should think negotiations will take two decades instead of two years to conclude, especially with all the different nations that need to agree to the Brexit deal. Another tactic was outright rudeness: EU apparatchiks would get angry at Varoufakis for suggesting entirely sensible solutions and compromises to various problems, make snide comments (such as “When am I getting my money back?”) and something Varoufakis calls “the Swedish national anthem routine”. This ruins time spent explaining strategies by afterwards staring at the speaker as if they had just sung the Swedish national anthem instead of explaining significant negotiation points. The most damning tactic used, however, is the division incurred by the EU amongst their opponents. The abject treachery seen from Varoufakis’ colleagues is enough to turn even the keenest Europhile’s stomach sour. This is something we may be beginning to see in Britain’s negotiating team (though it perhaps is not caused by their opponents, I have no doubt they’re very happy it’s occurring). One of the most fascinating parts of the book is its remarkable characters: individuals behind the scenes in Europe such as Jeroen Dijsselbloem, Thomas Weiser, and Christine Lagarde are all depicted, along with some more famous faces, such as George Osborne, Barack Obama, and even future French President Emmanuel Macron. Macron’s persona in the book seems to be different from most other officials; while the others aligned themselves with Varoufakis in private and spoke against him towards EU superiors, Macron was consistent in his support whenever he appeared, suggesting that he may be a positive influence in the future of European politics. Other interesting conversations came from Mr. Dijsselbloem, who was vitriolic and intimidating in his first appearance, yet could be well restrained by his superiors at other points; Larry Summers, who discusses “Insiders and Outsiders” in the beginning of the book; Christine Lagarde, who at multiple times admits that the policies toward Greece from the EU are doomed to disaster; and from Wolfgang Schauble, who openly admits to Varoufakis that he could not, as a patriot, sign a similar bailout deal to what he would force Syriza to sign if he was in the Greeks’ position. The book is extremely well written for an individual for whom English is a second language. He explains often complex financial situations concisely and relevantly, and has been able to weave his account into what seems like an intense political thriller. Although I would agree with Mr. Varoufakis that his story closer resembles “a Shakespearian tragedy”, in which the protagonist, trying to do the best for his nation, ends his story in a downfall we all know is coming, yet still hope will happen. His book transcends any other political account I’ve read, for its immense scale, it’s complexity of characters and events, it’s largely candid nature and the sheer number of astonishing conversations and people written about (I can only assume it’s quite true, for otherwise I believe the author would be buried under hundreds of lawsuits). Though I can recognise why some critics would level claims of egocentricity from Varoufakis, I still view the large amount of his actions as totally logical and correct, and it certainly has worsened my view of the European Union (though I would still sooner advocate democratic change within it then opt to leave it). Ultimately, his tale of an outsider who can stare into the abyss of the EU and write about it honestly afterwards can teach us of another side of the European Union and about what happens when people have no say in the political decisions taken in their society.